While there are some things you can afford to compromise on, your privacy isn't one of them. 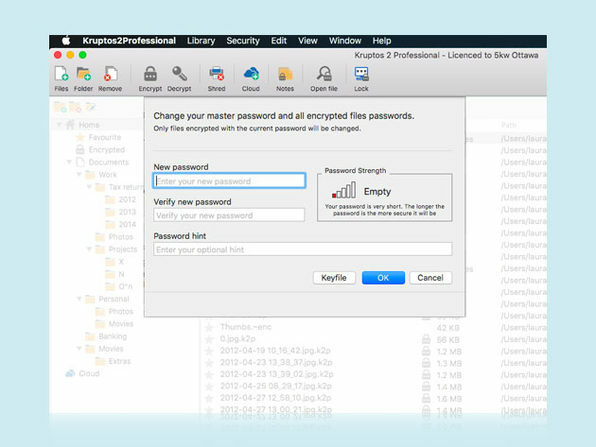 Kruptos 2 Professional is the easy-to-use file encryption tool that leverages 256-bit encryption to password protect your private files and prevent them from being modified, read or even accessed without the correct password. 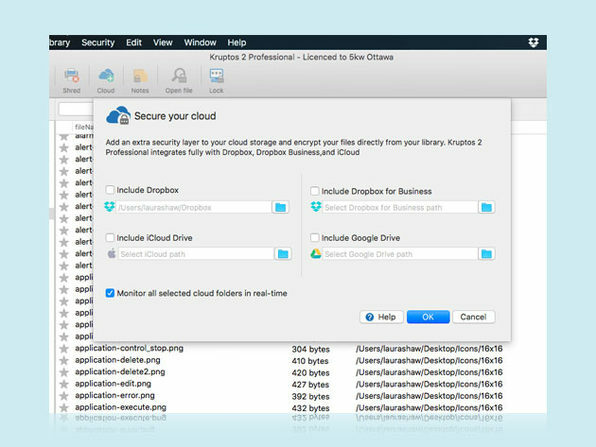 From photos to tax returns, Kruptos lets you secure any number of files of any size and type on your computer. And, with added features, like a file shredder and password analyzer, Kruptos gives you a complete toolbox for protecting your privacy. TopTenReviews: "Kruptos 2 is an easy-to-use encryption program that works well to keep your files safe from prying eyes, and its helpful security tools add to its strength." Download.com: "Kruptos 2 Professional offers strong, versatile data encryption in an affordable, attractive, and easy-to-use package..."
Kruptos 2.0 Software is a small independent software development studio located in the North East of England. Its goal with Kruptos 2 products is to build the best file encryption solution on the market. By listening to all the suggestions and comments it get from its customers, Kruptos 2.0 Software makes its security products a little better every day.